Home » REVIEWS » The Division review: It’s exactly like Destiny, but with matchmaking! 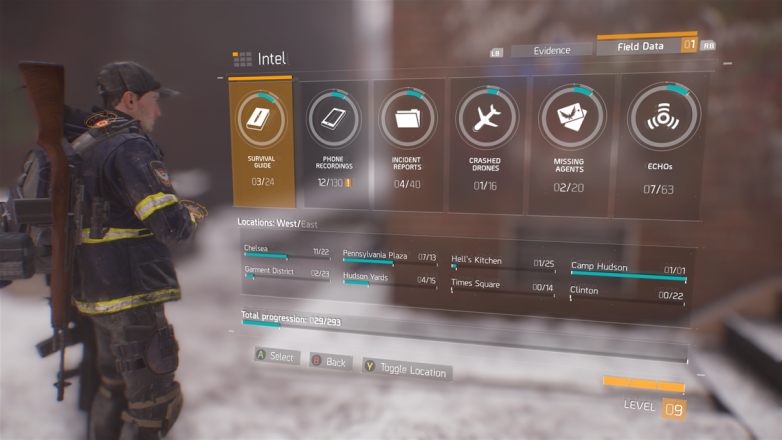 On paper, The Division and Destiny are almost exactly identical: they are both loot based games that you can’t play offline, and they are both games that encourage the practice of playing with other people. Other than the aforementioned obvious, almost unavoidable comparisons though, the two games are like night and day. You get loot, and you get loot, everybody gets loot! Crafting your own endgame equipment? What sorcery is this? A major part of games like Destiny and Borderlands is the loot, or more accurately, how you can obtain said loot. 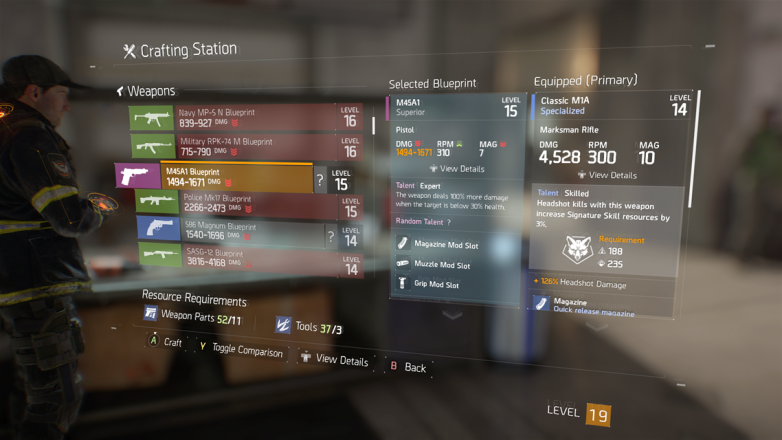 But unlike most other loot based games, The Division has a degree of bad-RNG mitigation. For example, while it is entirely possible for you to waste hundreds of hours shooting at the same guy over and over again for a chance at good loot in most other games, The Division lets you craft your own high-end gear. This means that the only limiting factors in acquiring good loot are crafting materials and blueprints. On the bright side, you can obtain blueprints in set locations and crafting materials are easily obtained by breaking down any useless loot. On top of that, you can even re-roll the stats on any loot that you find for a nominal in-game fee. While this may lead to some excessively powerful characters by the end of the game, it is a small price to pay for convenience’s sake. Content drought? What content drought? Another big part of loot based games is content, and how relevant the content is by the time you reach the end of the game. In terms of map size (and travel speed), The Division has one of more sizable maps in recent memory: sure, it isn’t nearly as impressive as GTA V’s map, and you might not be stopping every 10 feet to look for aluminum a la Fallout 4, but you will have to jog for some 30 minutes to reach the north-south boundaries of the map. 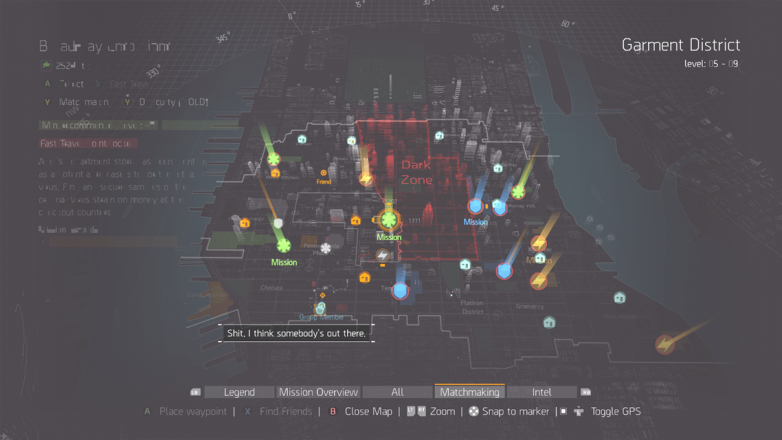 The Division’s map isn’t entirely empty either. 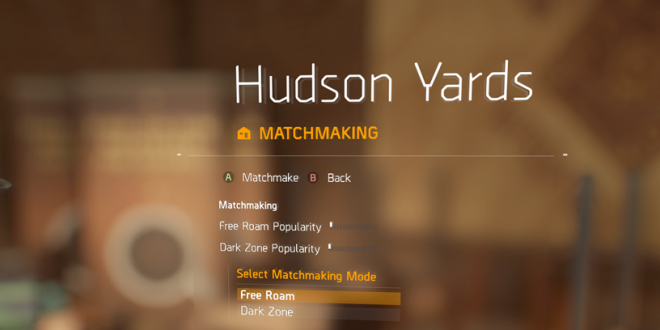 There are six Dark Zone areas which let you fight both other players and NPCs, and there are 15 normal areas dedicated to PvE. Each of those 15 areas has its own safehouse and set of three to five encounters, three or four side quests, and a main quest or two. To put this in perspective, each encounter usually takes around 5 minutes to complete at most, each side quest can take somewhere between 10 to 15 minutes, and each main quest can be completed within 30 minutes to an hour if you are playing by yourself on hard difficulty. Throw in all the collectibles, cutscenes, and things of that nature that explain the backstory, and at minimum, you have a five to six hour game if you ignore everything but the main quests. That being said, it is entirely possible that you may end up choosing to ignore everything but the main quest because you may find yourself outleveling everything else. Fortunately, it seems as though hard difficulty does scale the enemies (and thus, the loot) to your level, so even if you can just run around punching everything in the main world, that may not be the case in the missions themselves. 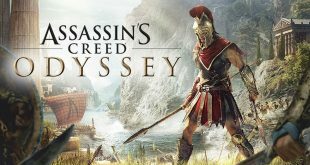 Unfortunately, it seems as though Ubisoft’s method of scaling the difficulty up is to just increase the amount of health your enemies have. Obviously, given the fact that all of your enemies are humans, this does break the immersion. 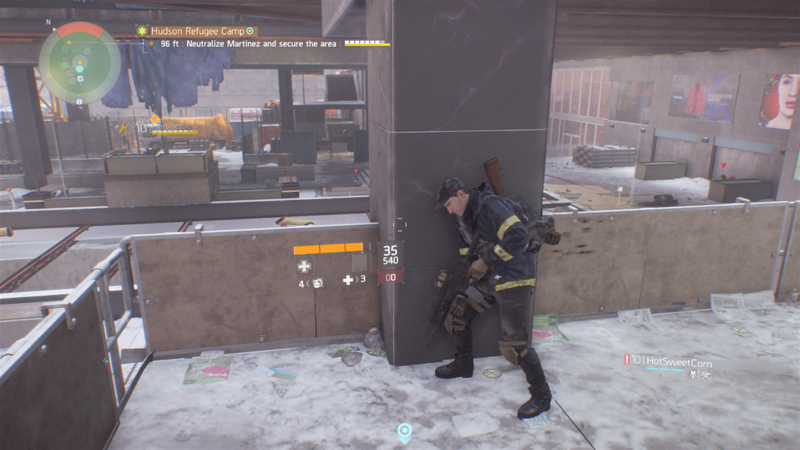 Whether or not this bothers you is up to you, but it is not an uncommon sight to see a looter shrug off bullets as if you were firing crayons at him. In short, no. 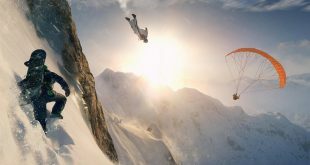 While there is a lot to do, the main draw of The Division is that it is a game that you play with friends. 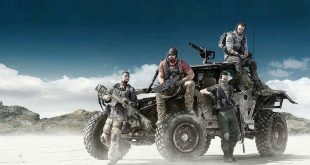 Playing by yourself, while possible, simply doesn’t offer the same experience as playing with a group of friends. 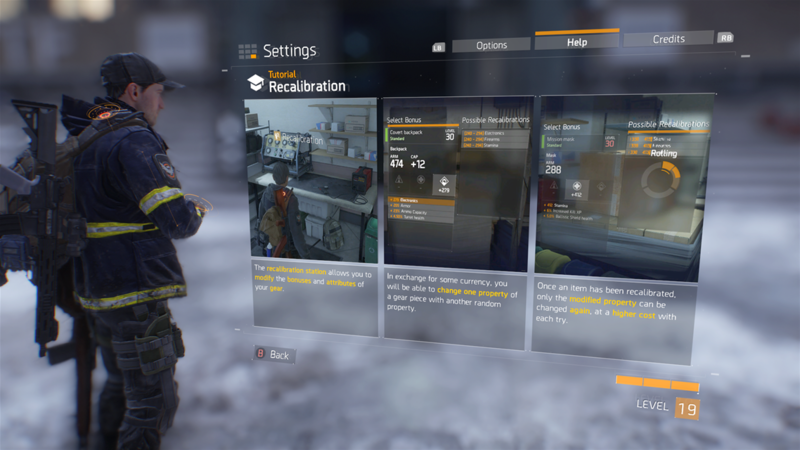 However, if you do have some friends that are playing, there is no harm in joining them, as The Division does offer some unique experiences without the frustrations that similar games have.